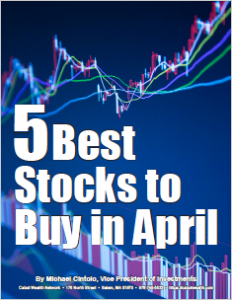 If you’ve read Cabot’s prior lessons, you’re familiar with our methods for buying and holding what we hope are great growth stocks. Now we must focus on what we believe is the most difficult thing to do during the ownership life cycle of a stock: selling. Specifically, knowing when to sell a stock is the trickiest part of investing. Our method of cutting losses short rests on a set of rules developed over 46 years of investment advisory experience. These rules will keep you from letting your emotions alter your judgment when the time to sell arrives. We have a variety of sell rules, but one of them is far and away the most important rule in the book. If you follow this rule, we’re confident your long-term portfolio results will improve tremendously. This rule is so important we’re devoting the entire lesson to it. Trust Cabot Growth Investor to let you know about the next Amazon AND to guide you through when to buy and when to sell. With our 47 years of experience, you can trust our guidance. We’re talking about cutting losses short. For aggressive growth stock investors, cutting a loss short is the most important rule for you to follow. We’ll go into the reasons for this, and we’ll explain how to implement the rule in your own portfolio. Of course, Buffett was talking about taking the risk out of your investments by investing in undervalued situations. But his point is well made. If you subject your portfolio to the risk of large losses, it’s tough for you to accumulate lots of wealth over time. Why is Cutting Losses Short So Important? This is a question we get quite often in one form or another. After all, if a stock drops 15%, 20% or 25% from you initial purchase price, isn’t it simply a better buy at these lower prices? And if the company’s fundamentals (which you researched before buying the stock) are intact, why would someone actually sell just because the stock temporarily falls? Well, there are two major reasons why cutting losses short is the right thing to do. 1. It’s a fact that all big losses start out as small losses. Sounds simple, right? It is! By cutting a loss short, you guarantee that no single stock will hand you a devastating loss and severely damage your overall portfolio. This is especially important when dealing with aggressive growth stocks, which can dive bomb significantly lower over a period of only a few weeks. It’s particularly important for those investors who tend to focus (as we advise) on a relatively limited number of stocks (say, 8 to 12). If you only own 10 stocks and one of them gives you a 50% loss, that means your overall portfolio just fell 5%. Not good! Here’s another way to view the damage a big loss can inflict on your portfolio. It’s the Profit Curve’s evil twin, the Loss Curve. This graphic displays the percentage gain you must garner from a stock just to make up the amount you lost. For example, let’s say you sell at stock for a 10% loss. To make up that low, your next purchase need only advance a little over 11%. Not bad. For a 20% loss, the next stock must show you a 25% profit. Also doable. But notice how the curve accelerates to the downside as your losses grow bigger. (It’s like the magic of compounded growth with the Profit Curve, except it’s working in exactly the opposite fashion.) If you lose 50% in a stock, you need to find a stock that doubles, just to break even! For a 60% loss, the gain needed to break even is 150%. For a 75% loss, the figure is 300%. And so on. 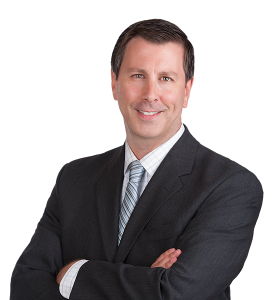 Clearly, if you allow just one or two of your stocks to hand you severe losses, your entire portfolio can be damaged for months to come, if not longer. There’s a saying in the market, “The first loss is the best loss.” Our experience tells us that this is exactly right! 2. The second reason for selling after a stock goes against you is because sometimes the stock is actually telling you something by dropping. Specifically, if you buy a stock that’s a little off its high, then watch is fall, say, 20%, you should ask yourself why the stock fell. Did a market correction pull it down? Or did the stock fall on its own? Or was its industry group weak? A correction in a stock, especially when the market appears to be in fine shape, can actually be forecasting trouble. It means investors are selling the stock much more that the rest of the market. And that sometimes implies that bad news is forthcoming. In addition, after a stock corrects, a certain amount of overhead (i.e., resistance, which exists because people who own the stock at higher prices are often willing to sell once the stock rallies back near their buy price) is created on the chart. That can stall the stock’s next advance, even while other stocks are roaring to one new high after another. The Cabot Growth Investor uses a loss limit of 10% to 20%. That is, if any stock closes out a day giving us a loss of 20%, we’ll sell the next day. Note that we wait for a loss to materialize at the close of the day. Intraday volatility these days is huge, and sometimes a 20% loss during the day can shrink below that level by the close. But 10% to 20% isn’t necessarily the right limit for you. So what is? It depends on your personal risk tolerance, the type of stocks you’re buying and the size of your initial position (in dollar terms). We wouldn’t advise any loss limit exceeding 20%, however. 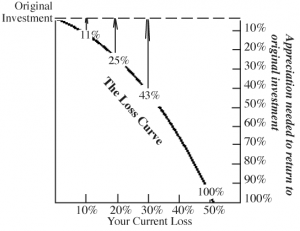 A loss greater than 20% brings you too far down the Loss Curve. We’ve found the 10% to 20% limit to work well, so you may want to start with that and see how it works. Consider these three factors: your risk tolerance, the types of stocks you focus on, and the relative size of your initial position. And once you’ve decided on your loss limit, stick to it! We know that cutting losses short is the rule that investors follow the least. After researching a company’s fundamentals, analyzing a chart to see if the stock is under accumulation and actually making the purchase, investors are understandably hesitant to simply dump their shares a few weeks later, for any reason. Even worse, some investors will cut their losses short only to see the stock thumb its nose at them and work its way higher. Eventually, though, those investors who don’t cut their losses short are doomed to own a couple of stocks that literally fall off a cliff. And that’s not what you want! Thus, we can sum up this entire lesson in one sentence: Cut your losses short! To receive more guidance on investing, consider joining Cabot Growth Investor, our flagship advisory. We will not only help you select the best stocks, but also provide you with all the necessary education to make better investing decisions. Get more details here.